Seven days after the special press event in San Francisco where the iPad 3 was unveiled, the reviews have began pouring in. With the embargo lifted, various top tech and general news sites have unleashed their hands-on opinions on the device, and we have a roundup of the top reviews from the tech pundits we know and love right here. Let’s be clear: the new iPad is in a class by itself, just as its predecessor was. As the latest product in a lineage of devices that defined this category, the iPad continues to stand head and shoulders above the competition. With the addition of the Retina display, LTE, more memory, and a more powerful CPU, Apple has absolutely held onto the iPad’s market position as the dominant player and product to beat. He went on to mention that if you own an iPad 2 and don’t care much about the much-improved Retina Display, or improved optics, it isn’t that big of an upgrade; but for potential tablet owners, or someone upgrading from an original iPad or Android device, it’s a must-buy. It’s hard to illustrate on a Web page or in print how brilliant this new display is. You have to see it. Apple calls it a “retina” display because, at normal viewing distance, there are so many pixels per inch, the human eye can’t pick them out individually. 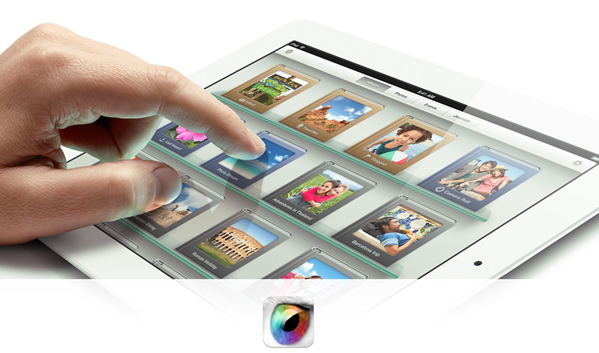 This display packs 264 pixels into every inch, twice as many as on iPad 2. 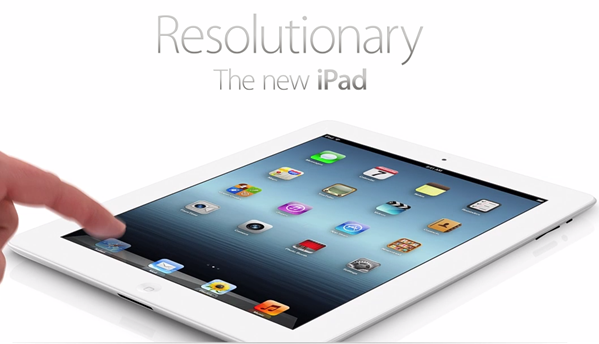 Overall, the resolution is 2048 x 1536, versus 1024 x 768 for the iPad 2. So, what did I like about the iPad? Simple — the experience. Nobody in the market today can touch the Apple experience. If you’re at all interested in LTE in an Apple product, obviously, get a new iPad. If you read a lot on your iPad, get the new iPad. If you take a lot of photos and videos (yeah you, the joker in the front row of the concert with your iPad in the air), get the new iPad. If you play a lot of games on the iPad, get the new iPad. If you don’t yet have an iPad, get the new iPad. That being said, the new iPad certainly seems like a worthy device to purchase. The verdict: If you’re tight on cash or in no rush to upgrade from your iPad 2, it isn’t that critical. Your device is certainly still suitable performance-wise, but you’ll be missing out on a display like no other, along with the improved optics and LTE functionality. But, if you own an original iPad, an Android device, or if you’re a prospective buyer contemplating a tablet, you should certainly consider purchasing.